With ToroHealth Damage Indicators, damage given, received, or mitigated will be displayed as a number that pops off of the entity. Also, health bars will appear in the top left corner for the entity in the player's crosshairs. Customization config options are available for changing the color of the damage numbers and the display style of the health bar (HEARTS, BAR, NUMERIC or OFF). The entity preview display can also be toggled on or off along with setting the background skin to BASIC, HEAVY or NONE. Visit our GitHub to keep track of development progress. Please feel free to include ToroHealth in any modpack. No need to ask for permission. When I look at a dragon from the Dragon Mounts mod, the screen gets an intense bright white-blue color. It goes away when I look away. 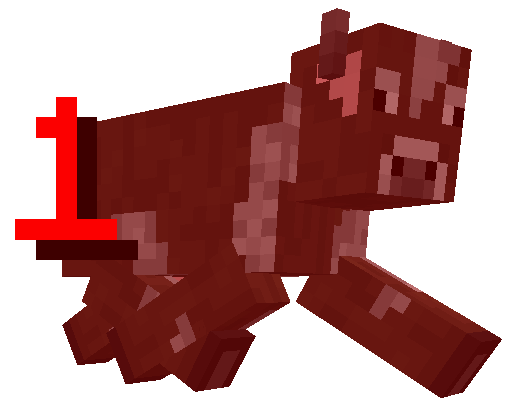 It doesn't happen with another animals, mobs or the animals from MoCreature's. any updates for 1.13.x ? I am hoping to get some free time soon to start updating it to the beta releases of forge 1.13.2. No, but it is inspired from it. We really missed that mod when playing 1.8+, so we created this one. If you are looking for health bars over entities try ToroHUD. You should have some control over the position of the HUD in the Mod Settings. hello I love this mod very very much. If I remember correctly, ToroHUD (a fork of this project) allows you to scale the display in the Mod Settings, but I am not sure. You might want to try it out and see if it does what you are looking for. 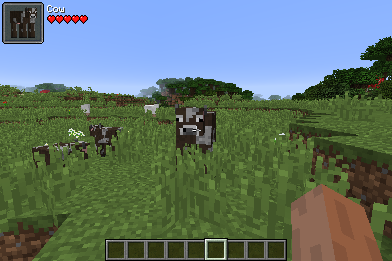 I just verified that in ToroHUD under Mod Options / ToroHUD / Health Bar GUI there is a Gui Scale config option. If you increase the number there it will increase the size it is drawn. Beyond that there isn't much more I can help with right now. Is there a way to change the shape of the damage particle in the damage indicator? This is just a client-side mod, right? Yes, no need to install it on the server. is there a way to disable the mob health interface and just have the numbers of how much damage you do?